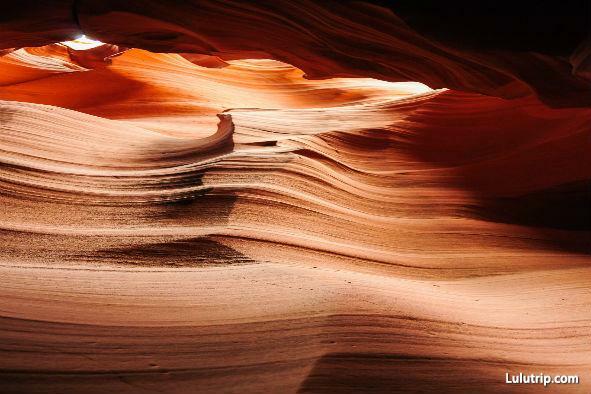 When people planning a trip to the Antelope Canyon National Park for a adventurous photo vacation, take a bus tour is a good choose for most of travelers. The tour guider will offer the photo tips, guide you to take photos, and point out unique formations in the sandstone. And normally, the tour guiders are native to the Navajo of that area. They'll tell you the stories about the Antelope Canyon also. 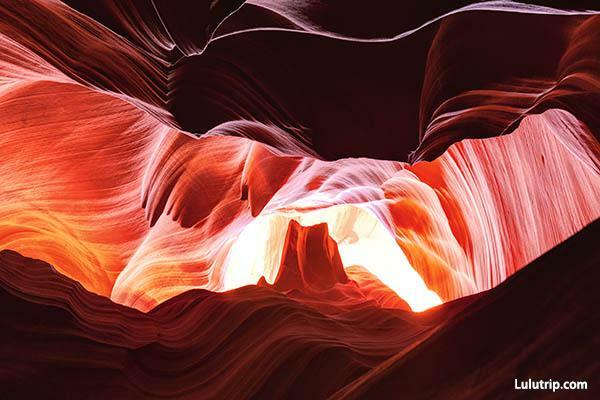 Here're the tips of adventurous antelope canyon photo tours. It is the most popular slot canyon in the American Southwest. It was formed by rushing rain and flood water which carried sand, slicing through a mesa and carving the mystical sandstone walls. AntelopeCanyon includes two separate, slot canyon sections, referred to individually as Upper Antelope Canyon or The Crack; and Lower Antelope Canyon or The Corkscrew. It is a favorite destination for tourists from all over the world. The road to Antelope Canyon is gated by the Navajo Nation and entry is restricted to guided tours led by authorized tour guides. The Upper Antelope Canyon is at ground level, requiring no climbing, and suitable for people of all ages including children. Tickets price of the Upper Antelope Canyon is about $58. The Lower Antelope Canyon require climbing along pre-installed ladders in certain areas, and more difficult to hike. Tickets price here is about $33, more cheape than the Upper Antelope Canyon national park. ral lighting. The obscurity was special...interesting shadow...and what could be seen of the sandstone was remarkable. - if you're a photographer or don't have a great camera, don't bother taking too many pictures! Just enjoy the moment!